> ... she took a ruler to bed to see how long she slept. > ... she sent me a fax with a stamp on it. > ... she thought a quarterback was a refund. 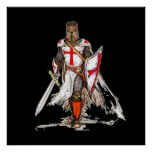 and to fight with the sword the infidels and non-believers who attack the Cross with their own sword. Last edited by Templar Knight 2 on Mon Oct 29, 2018 4:34 am, edited 1 time in total. > ... she thought Boyz II Men was a day care center. > ... she thought Eartha Kitt was a set of garden tools. > ... she thought General Motors was in the army. > ... she thought Meow Mix was a CD for cats. > ... she thought TuPac Shakur was a Jewish holiday. > ... under "education" on her job application,she put "Hooked On Phonics." > ... she tripped over a cordless phone. > ... she spent 20 minutes looking a the orange juice can because it said "concentrate ." > ... she told me to meet her at the corner of "WALK" and "ONE WAY." > ... at the bottom of the application where it says "sign here," she put "Sagittarius." > ... she asked for a price check at the Dollar Store. > ... she studied for a blood test. > ... she thought she needed a token to get on "Soul Train." > ... she sold the car for gas money! > ... when she missed the 44 bus,she took the 22 bus twice instead. > ... when she went to the airport and saw a sign that said "Airport Left," she turned around and went home. > ... when sh heard that 90% of all crimes occur around the home,she moved. > ... she thinks Taco Bell is the Mexican phone company. > ... if she spoke her mind,she'd be speechless. > ... she thought she could not use her AM radio in the evening. > ... she had a shirt that said "TGIF," which she thought stood for "This Goes In Front."